With as much work as Namine has been doing in physical therapy lately, it got me thinking. It’s been over two years since her second foot surgery, and she’s come leaps and bounds (sometimes literally) since then. It simply amazes me, how strong and resilient my daughter is. That tweet came across my feed a couple days ago; it reminded me of the risk that we took having Namine’s feet operated on. 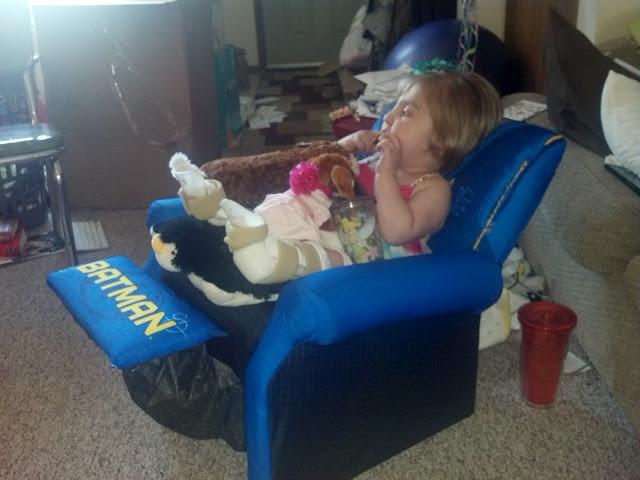 Jessica and I alone made the decision to have Namine’s feet operated on when she was two years old. She was (of course) in no position to weigh the decision for herself, so we decided to take the risk. And it was a risk; there was no guarantee that she would be able to walk, no way to know. Very little is known about caudal regression syndrome, the condition that resulted in Namine’s clubfeet, and even what is known can differ so wildly between patients. Despite all that, though, we decided that the possibility of Namine being able to walk was enough. If she needed more surgery as she got older, we would cross that bridge when we came to it. And if Namine was old enough, she could contribute her own voice to the decision. It came to light much later that the first foot surgery was badly done. In order to rectify the damage done by the first orthopedic surgeon, Namine had to undergo a second round of foot surgery. This time, things would be done correctly. And this time, Namine was old enough to decide for herself. By the time she had foot surgery the second time, Namine was four. I would imagine most children would not be able to make any kind of informed decision about their body, especially where surgery is concerned, but Namine is not most children. She already knew all about surgery, therapy, and the nature of pain. But that was not as important as the why — and she also knew the why. She knew the purpose for such things. Before Namine was born, we were assured by doctors and specialists that because she would need so much surgery, she would not be a “cuddly” kind of child. (At that time, remember, they were just talking about her heart and airway, considering only the essentials for life. Not a thought was yet spared for something as trivial as her feet.) She would be exposed to so much pain, and so early, they said, that she would likely recoil from all physical contact. Hugs? Unlikely. Kisses? Out of the question. Obviously, we know that is not the case. Deciding to have Namine’s feet operated on — especially a second time — was one of the most difficult things my wife and I have ever had to do. It wasn’t like her heart surgery, or the tracheostomy, or the g-tube. Those things were necessary for her to live. This was elective — it was entirely up to us. We had no one to guide us, no one to tell us we were making the right decision. Caudal regression syndrome was — is — such a rare disorder that no one had any answers. Just guesses. Sometimes, that’s all you can do. You collect as many facts as you can, and you take a risk. "I'm having foot surgery today, so I can have my feet fixed and I can walk better!" Oh yes, she knew what the purpose was. She knew the cost, having already gone through the pain and casts once already. But she also knew what she wanted: to walk. And the long-term goal of walking was more important to her than the short-term consequences of pain. I almost wrote “consequences of discomfort,” but I think that would be a disservice to Namine. I cannot imagine the pain that she’s gone through, with everything she’s endured. But in spite of all that, she remains the most cheerful person I know. But that’s not to say that all has gone well. Quite the opposite: Namine almost lost her foot due to complications stemming from the first surgeon’s mistakes. Even putting that aside, Namine being willing to undergo the surgery once more never would have meant she wouldn’t be in pain. I suspect the pain was greater the second time around — but then again, it could be that she was simply able to communicate her pain to us better. Pillows and your very own reclining chair to put your feet up help too. If taking the risk of having Namine’s foot surgery was scary, the second time was terrifying. Especially in the aftermath of the operation, when she came very close to losing her foot. But thankfully, miraculously, she made her recovery. And now, two years later, her feet are scarred but strong. Her endurance has never been better — she’s now up to walking seven minutes on the treadmill with no breaks — and she’s getting better every day. Therapy, for her, is not just a twice-a-week sort of thing. Every opportunity she has to climb, or walk, or jump, she’s there. Even before foot surgery, Namine climbed on as much as she could. But — and there’s always a “but,” isn’t there? — she cannot yet walk on her own. This is not just a casual observance of a parent, this is a very real frustration for her. More times than I can recall, Namine has told us how she hates being little, how she wishes she was able to walk on her own, how she wants to be stronger. So at this point in her life, she is caught in between the “then” and the “will be,” and I think it’s important to keep something in mind. When we’re working toward something, it’s difficult to think of where we are now as necessary. We’re better than we were, sure, but we’re not there yet. We don’t think our current situation as important. But how would we get to where we’re going, without getting through where we are now? Blue steel refers to finished bright steel to which a dark surface coloration has been applied or to the color of the finish itself. This finish is the consequence of a process of heat treating, which when applied to iron-based alloys is used to reduce brittleness and increase toughness. In the case of steel, shades of blue may be used to indicate the degree of temper. Namine has been through a lot in her six years, but never does she let it beat her down. She rises to the challenge every single time, smiling while she does it. 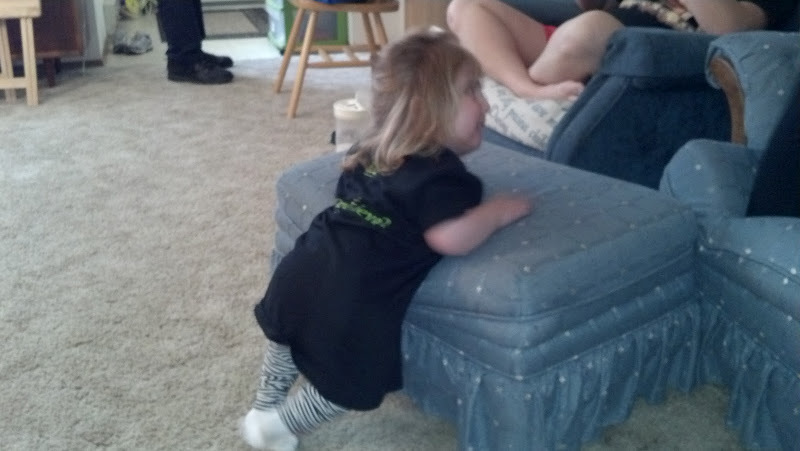 Yesterday in therapy, Namine stood up, bearing her weight completely on her legs for the first time. 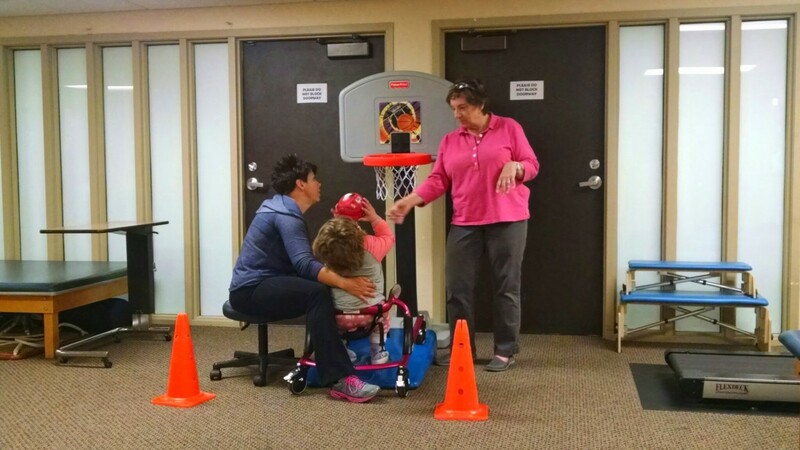 She was a little wobbly, and she only stood long enough to throw the basketball into the hoop, but she did it all on her own. That’s progress. That’s also the result of taking a risk. It’s a risk we don’t regret taking, and neither does she.